ASEE/BSEE with minimum of 3 years experience in field of interest. Follow test procedures, and complete test reports, on tested products. Troubleshoot and fault isolation of amplifiers and complete Signal Enhancement Systems. Perform RF testing utilizing equipment such as Network and Spectrum Analyzers, Power Meters, Noise Figure Meters, etc, including under microscope. Ability to read and understand electronic and mechanical blueprints. 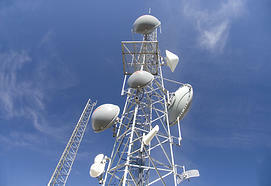 3+ years hands on experience in RF testing and trouble shooting of amplifiers and systems. Proficient in English language (write, read, speak and comprehension a must). Additional languages a plus. Opportunity for advancement: per periodically modified Education Enhancement initiatives by corporate management.